I first met Joan at the 2010 Jewish Children’s Writing workshop at the Highlights Foundation in Pennsylvania. I found her writing to be strong and lyrical. Turned out she’s been writing poetry for the adult market for some time. After seeing an article about her in the Hartford Courant, I thought it was high time you all met her. The Whole Megillah (TWM): What inspired you to start writing poetry? 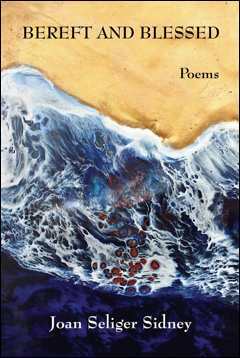 Joan Seliger Sidney (JSS): I wrote my first poem—long since lost—for an assignment in my high school English class senior year. It was about my mother’s younger brother, living in Israel so I didn’t know him, who had been killed by a jealous husband, my American uncle’s brother, a terrible tragedy. I remember that my teacher wrote, “Fascinating,” on my paper. But it wasn’t till twenty-two years later that I audited a poetry course at the University of Connecticut, started a writers’ group, and began writing poems. TWM: What inspires your poetry? Do you find your topics or do they find you? TWM: Who is your favorite poet? What is your favorite poem—and why? JSS: This is a very difficult question because I like many poets for different reasons. If we’re talking contemporary poets, my favorites are Carolyn Forché, Adrienne Rich, Audre Lorde, major political poets, and Robert Cording, who transforms the everyday into exquisite poetry. Ever since I heard Carolyn read “The Colonel,” I’ve been in awe of how she bears witness. The poem has an inescapable immediacy. The details bring me to the dinner table with the murderous Nicaraguan colonel as, after the elaborate meal, he spills the sack of human ears on the table. TWM: Are you particularly proud of any one poem? JSS: I like “Pantoum for My Grandparents,” the way it connects me to my maternal grandparents, also “On Turning Seventy,” which connects three generations. instead of returning to synagogue to pray. hands on my shoulders and told me her story. back to Zurawno I journeyed with Grandma. We watched the road darken with soldiers. “Germans, so cultured, won’t hurt us old Jews. Grandpa wore his Silver Cross from World War I. If, only instead of listening, I’d whisked them away. Grandma braided challah and slid it in the oven. before the betrayal by their Ukrainian neighbors. before the betrayal by her Ukrainian neighbors. They beat and bloodied Grandma and Grandpa. She braised brisket and potatoes, my mouth watered. Granddaughter from the future, what could I do? threw their still-breathing bodies into a pit for Jews. TWM: How does writing poetry affect your writing in other genres? JSS: It makes me more aware of word choice, image, rhythm, rhyme. TWM: You received your MFA from what is now the Vermont College of Fine Arts. Would you recommend an MFA? Why/why not? JSS: Absolutely! Working with outstanding writers and peers transformed my writing, reading, and teaching. TWM: How important is it to write Jewish-themed poems? Holocaust-related poems? JSS: I guess Jewish-themed poems are in my blood. As I’ve said, my mission to bear witness to injustice began with Holocaust-related poems. TWM: Is there any craft book you’d recommend? JSS: I’ve used and taught from several good ones. For anyone interested in writing in form, I recommend The Making of a Poem by Strand and Boland. 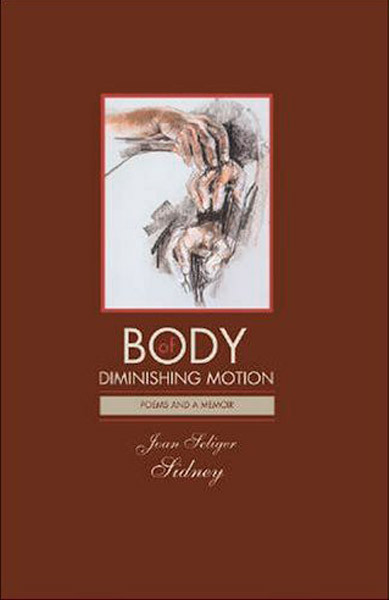 For more about Joan Seliger Sidney and her work, please visit her website. This entry was posted in Authors, Poets and tagged Bereft and Blessed, Hartford Courant, Holocaust poetry, Jewish poetry, joan seliger sidney. Bookmark the permalink. Joan’s poems are amazing and brilliant. Thanks for the introduction. I will be looking for her book.